We know that when the weather is nice the last thing most people want to do is go from sitting inside their office to sitting inside a restaurant. 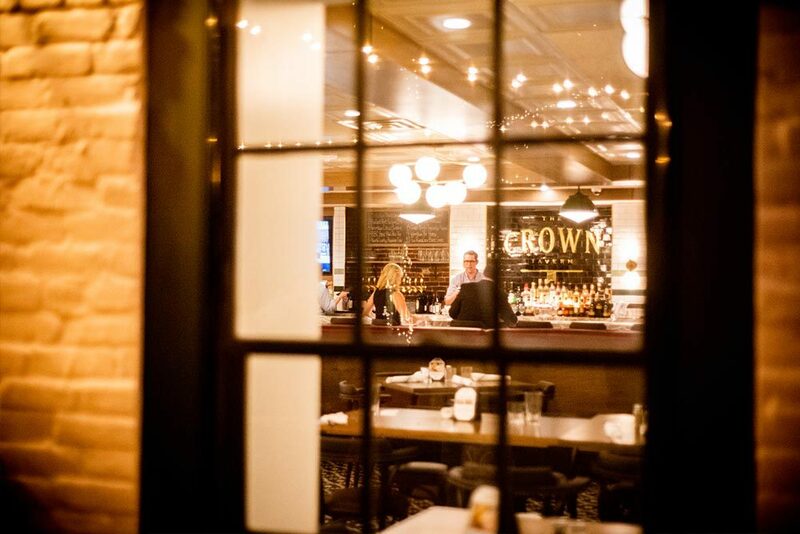 Whether you’re splitting a few small plates with friends or just drinking in the ambiance, there’s no better place to enjoy nights in the neighborhood than outside under the glow of The Crown’s festival lights. We use a lot of fresh ingredients but fresh air is one of our favorites, and you can add it to any meal free of charge. Party Plans? Buy Out The Crown! When it comes to sharing good times with a group, we at The Crown live firmly by a belief in “the more, the merrier” – and sometimes, that calls for a little extra room to spread out. 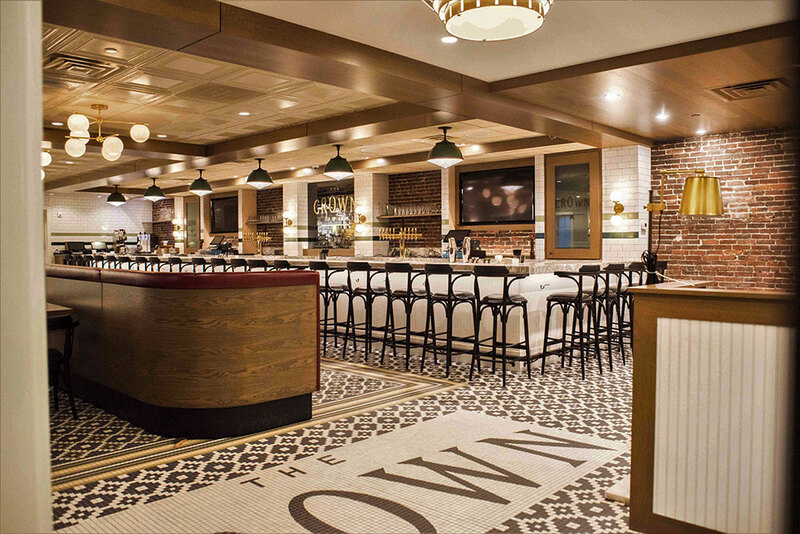 The Crown is available for buyouts for your group of up to 250 guests to get down and party with a little privacy – all while staying right in the middle of the action in the heart of the Queen City. We’ll save the entire restaurant, including our outdoor patio space, just for you. Give Kiel (pronounced Kyle) a call at (603) 218-3132 or email at kiel.carroccino@thecrownonhanover.com and ask about buying out The Crown for your next gathering – party hats not required (but recommended).